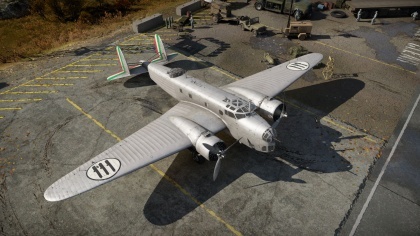 The BR.20 DR is a Rank I Italian bomber with a battle rating of 1.7. It was introduced in Update 1.69 "Regia Aeronautica". The BR.20 has a superb bomb load and is quite strong, being able to soak up a bit more damage than other comparable bombers. The defensive armament has excellent coverage, however the dorsal gunner is quite exposed and commonly gets hit in combat. 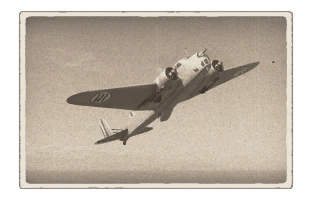 It not only looks but also flies like a brick, this is a very slow plane and in arcade and realistic, because these game modes are so short in time length, by the time you reach your bombing target the match may already be almost over! The BR.20 is still however quite a treat to fly and is stable and well suited in simulator. While bombing, this is excellent aircraft for flying in formation as course speed are easily maintained and controlled. This page was last edited on 5 January 2019, at 14:57.